The service industry and business-to-business companies have remained at the forefront of studies into internal marketing due to the close contact between employees and customers in such companies. Marketers and industry experts have shown particular interest to the supermarket sector over the past years due to the varied fluctuations in performance that have been reported. Consumers have negligible switching costs and the threat of substitute products is high, with little product differentiation. Therefore, there is the opportunity to create sustainable competitive advantage through intangible offerings. As of yet, there is little evidence supporting benefits of internal market orientation in the food retail industry. One reason for this may be the difficulty of measuring its benefits in such a context. Although the UK food retail industry has been extensively researched, researchers are yet to address it properly in regard to internal market orientation. 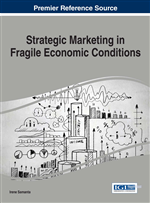 This chapter examines it from a stakeholder perspective. Internal marketing, although widely practiced by corporations, is not properly understood, either by firms or academics, leading to problems implementing such strategies in the workplace (Papasolomou-Doukakis, 2003; Ahmed & Rafiq, 2003; Gounaris, 2006). This study aims to provide insight into how companies in the food retail industry can use internal marketing to create a competitive advantage, drawing on a stakeholder perspective. Marketers are constantly faced with the challenge of implementing effective marketing strategies in such difficult environments. In recent years, as the business environment in which firms operate has become increasingly turbulent, organisations have been seeking new ways to create competitive advantage. For many years, adopting a strong customer-orientation was seen as one method of achieving this, but it appears that this approach to marketing is no longer relevant in the current environment. According to Bhattacharya and Korschun (2008), there is urgent need for new research to examine the impact of marketing on groups other than the customer, who is normally the dominant target of marketing activities. They outline potential areas for fruitful research discussed at a conference of the Stakeholder Marketing Consortium. 1Traditionally, stakeholders are seen as mutually exclusive, however they instigate that all stakeholders may be embroiled in a network of relationships and that actions of a firm can have a reverberating effect on them all, whether directly or indirectly. Harrison and Freeman (1999) believe that the stakeholder models in the literature are not very sophisticated and assert that examining large stakeholder groups can lead to a lack of understanding about differences that exist within them. Therefore, they call for further, fine-grained research on individual stakeholder groups. This study puts the internal customer stakeholder group as the focus of the discussion and aims to provide further insight into the importance of internal marketing. Much of the existing literature and theory on the subject of internal marketing approaches this topic from the Human Resources perspective (e.g. Collins & Payne, 1991; Harris & Ogbonna, 2001). Wieseke et al., (2009) take a different perspective and discuss the role of internal marketing through adopting a social identity theory perspective. However, these critical streams of research have not looked at internal marketing from a stakeholder perspective. This is unfortunate as it has impeded researchers and practitioners from understanding how and why management fails to formulate effective product offerings that address the needs of internal marketers. To partially bridge this research gap, the current study aims to examine internal marketers from a stakeholder’s perspective.